Teaching Yoga to Soccer athletes since 2008. 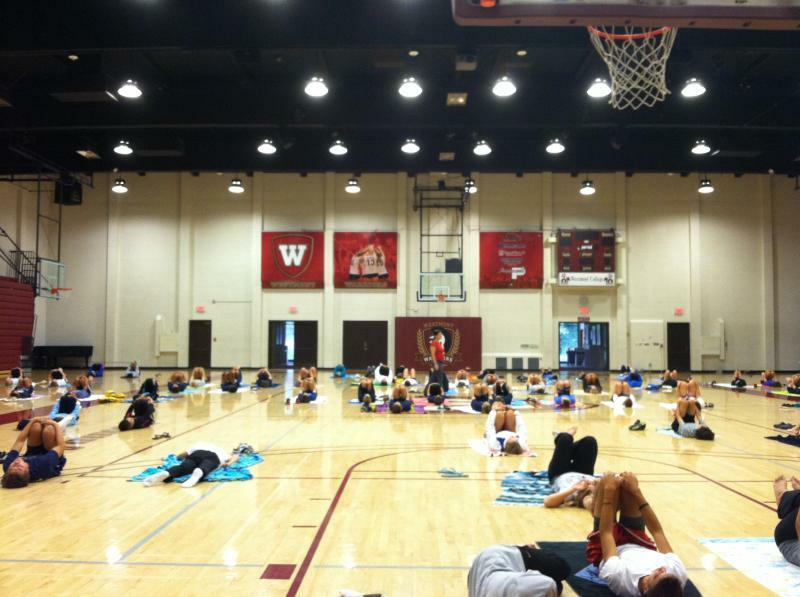 June 2012, Rosabeth returned to teach yoga to the Premier One Soccer School Residential camp athletes - Westmont College, Santa Barbara, CA. June & July 2011, brought Rosabeth and Natasha Dorfhuber back to Premier One Soccer Schools residential camp, this time back at Westmont College, Santa Barbara, CA. In summer 2010, Rosabeth returned for her 3rd summer session with her daughter, Natasha to teach yoga to the soccer athletes at Premier One Soccer residential soccer camp in Los Olivas. In July 2009, Rosabeth returned to teach yoga to elite soccer athletes at Premier One Elite Soccer Camp Residential Program headed by JJ Johnson, Owner and Lloyd Biggs- Head Coach of One Soccer Schools. This year, she was joined by her daughter, certified yoga instructor, Natasha Dorfhuber. The 2009 camp was held at Dunn School in Los Olivas, CA. 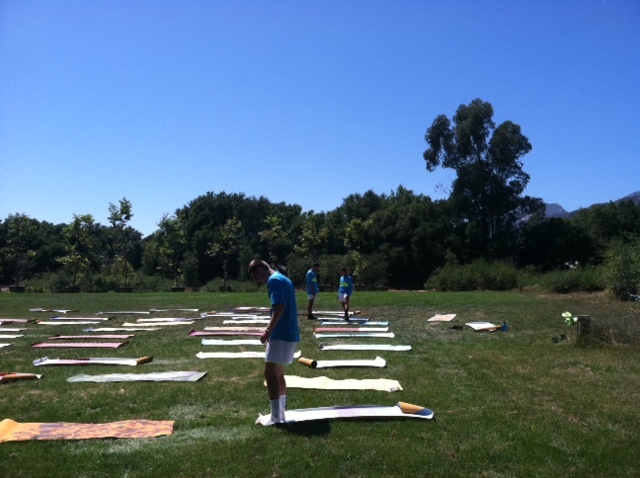 In June 2008, Rosabeth taught yoga to the athletes at the Premier One Elite Soccer Camp Residential Program at Westmont College in Montecito, CA. 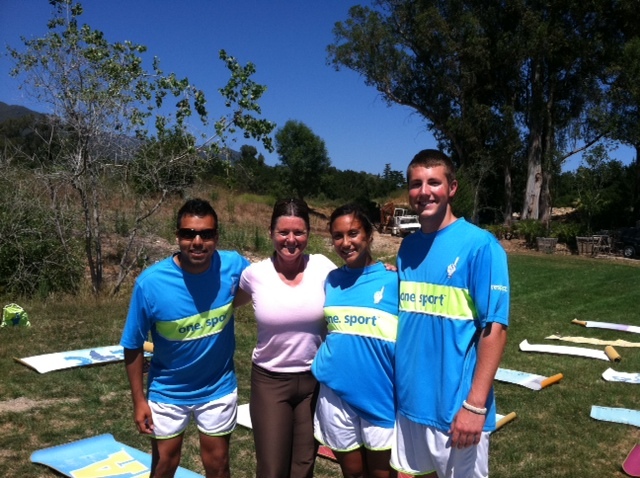 Mats at the ready, coaches and Yoga Coach Rosabeth Dorfhuber, ERYT await Premier One Soccer School's athletes. ERYT Yoga Coach Rosabeth Dorfhuber helping Premier One Soccer School's athletes wind down after a hard day on the field.